The eggs from The Paddock are laid by our own entertaining chickens who live at The Paddock, our 6 acre small holding or by local, small scale, free range chicken keepers who we know and trust. We aim to get the eggs to you within 48 hours of them being laid, however this is not always feasible but you can rest assured they are always fresh and will never be more than 7 days old when they reach you. The eggs you buy off the shelf in the supermarket can legally sit in a packing centre for up to 10 days from the date they were laid before they reach the shelves. If you add on the time given for the shelf life, imagine how old the eggs could be if you buy them a couple of days before the best before date! All eggs that reach the customer within 10 days of being laid can legally be marketed as fresh or extra fresh! We pride ourselves on freshness here at The Paddock. By the end of Friday every week, there is not a single egg left in sight at The Paddock. We then start collecting them again from scratch on Saturday morning ready for the delivery service that coming Wednesday and Thursday and the farm shop Wednesday to Friday. Due to the way the delivery service works, this means that some customers will receive eggs laid that day, whilst some will receive eggs laid a couple of days ago. It is not possible to give everyone eggs laid that day but all eggs will be fresh and just as yummy! If you have any concerns regarding the freshness of your eggs, please do not hesitate to contact Laura. You are more than welcome to come and collect your eggs on the day they are laid if you so wish. Every box of 6 eggs from The Paddock will be different, there will be some small ones, some big ones, some different coloured ones and even an odd shaped one! Just because the egg looks a little bit different does not mean there is anything wrong with it. 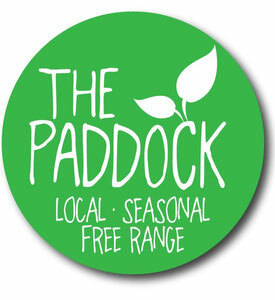 Here at The Paddock we promote real food and as such your eggs are mixed size, they are not graded or stamped, but rather packed as they come with a mixture in each box to be fair to everyone. All of the chickens are different, unique and individual, just like people and as such they all lay different eggs, depending upon their age, their breed, their pigmentation and a variety of other factors. All eggs bought from the shops and supermarkets will have been checked at a packing centre using candling equipment to remove any irregularities, ensuring they are all exactly the same uniform size, colour and shape! There is a certain degree of science goes into ensuring the girls continue to lay, most importantly of which is the right food. They require a high level of protein in their diet, without which they will not lay eggs! Lots of water is also important, as is clean bedding and 15 hours of daylight per day, which in winter means artificial lighting in the sheds to encourage them to continue laying despite the shorter days. The freedom to roam across the 6 acres keeps them healthy and active, allowing them to dust bathe naturally and keep all of the nasties at bay. A free range method of production keeps the girls happy - happy chickens lay lovely eggs! We also have to regularly introduce new chickens to The Paddock to make sure we can keep up with the demand for eggs - once the girls reach about 18 months - 2 years old, their laying becomes less reliable so it is important to have younger chickens as well as older ones. However, younger ones will lay smaller eggs and this is why at some periods throughout the year your eggs might be a bit smaller, if new girls have just been introduced to the flock and only just started to lay, it will take a little while for their eggs to grow in size. When our girls reach the age where they no longer lay many eggs or don't lay as reliably (usually between 18 months - 2 years in age), we do not kill them, they live out their days at The Paddock as happy hens. We have on occasion re-homed some of our older hens to make room for the younger girls, but we always ensure they go to loving, caring homes. Hopefully this info helps to explain the way the eggs are produced and answers any questions you may have so you can rest assured safe in the knowledge that Laura's Layers are kept to a very high standard of welfare and a lot of love, care and attention goes into producing, packing and delivering every box of 6 eggs to you! Eggs come with a best before date of 28 days from the date of lay. Once you have the lovely eggs at home, please keep them chilled and don't forget to return your egg boxes to Laura the next time you see her as we like to recycle them! Thanks! Please select whether you would like a dozen or half a dozen from the drop down menu. Once you have added the item to your cart, you have the option to increase the quantity if you wish. At certain times of the year, we also have fresh free range duck and quail eggs available from Sunniside and Free Range Bantam Eggs from our very own flock of Transylvanian Bareneck Chickens, or Silkie Bantams bread at The Paddock from our own stock. We work with local, small scale, free range chicken keepers to keep up with the demand for our eggs. We may not always be able to supply them from our own hens and from time to time, depending upon availability, you may find your eggs are stamped with another producers code. I only want to buy eggs, will you deliver these for free? No, unfortunately this is not a viable option for us but you can collect your eggs from our shop.